Hey BBTV Creators! Got something you want to ask BBTV? Well get ready for AMA 2.0! In February we got the chance to hear from tons of you during our first Twitter AMA and we want to start the conversation up again! @BroadbandTV will be hosting our next Ask Me Anything, this time featuring YouTube personality and gamer extraordinaire David Brown, on April 29th at 3PM PST! With over 20 million views, David Brown keeps things fresh on his two channels. From epic Let’s Plays, to Minecraft and Call of Duty playthroughs, to hilarious pranks and real talk – there is something for everyone! A long time Youtuber, he brings in-depth knowledge and expertise in the world of online video! Check out DavidBrownTV on YouTube and Twitter. David will be joined by YouTube Certified, Social Media Expert, Crystal Mak. 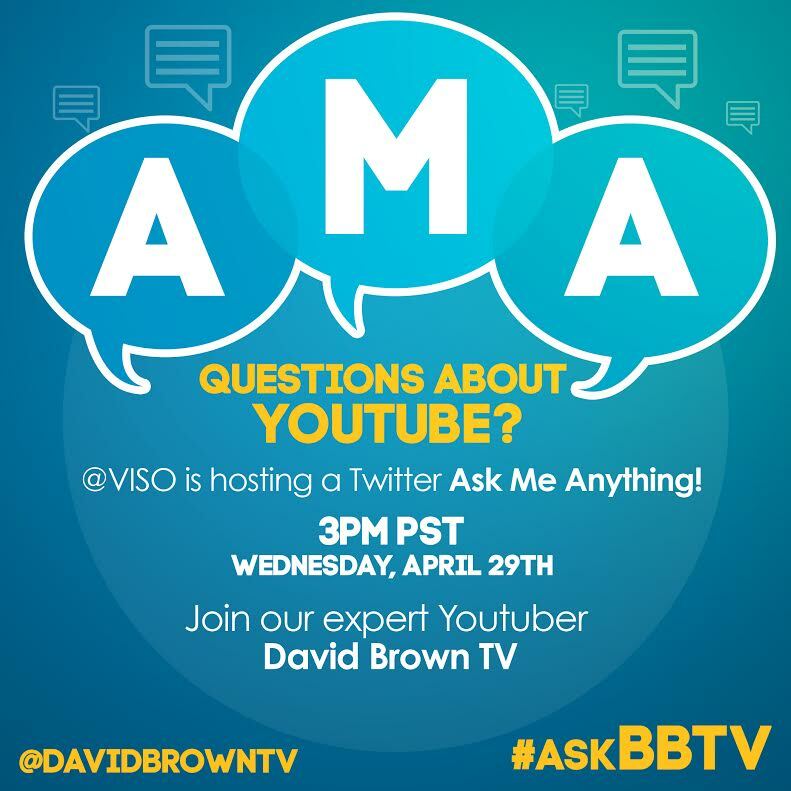 We love hearing from you and want to help with any questions you may have about improving your YouTube channel, so join the conversation with @BroadbandTV on Twitter between 3-4pm PST on April 29th, 2015. We want to help you make your channels even more awesome! Can’t make it on time? Use the hashtag leading up to the AMA to get your questions answered during the live event!